Ink dots – stippling if you want to use the correct term – are one of my favourite ways of playing with ink, a soothing change of pace from scribbling in a mad frenzy. 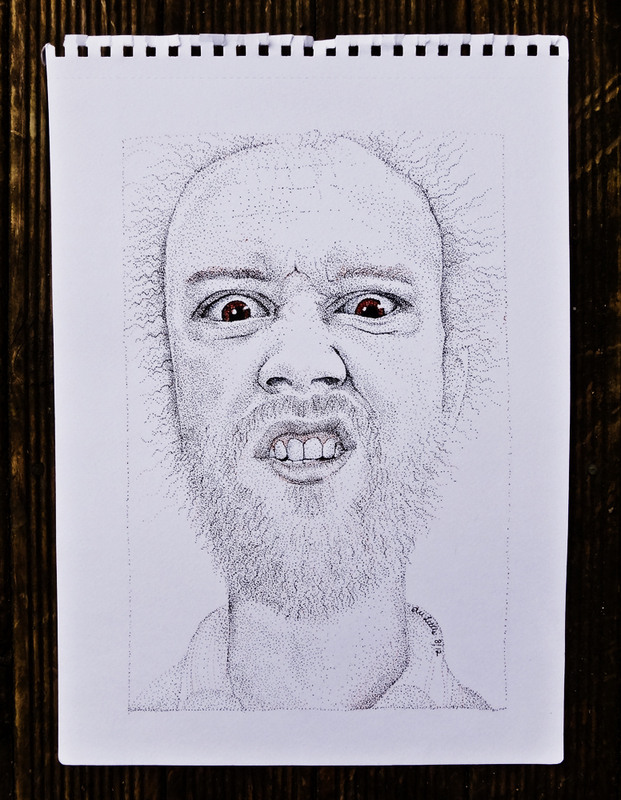 This entry was posted in drawing, portraits and tagged dip pen, dots, expression, grimace, ink, pen and ink, portrait, snarl, stippling. Bookmark the permalink.